It's all paws on deck in Nickelodeon's brand-new DVD collection - PAW Patrol: The Great Pirate Rescue! - available September 5. In this six-episode, swash-buckling adventure, the PAW Patrol take to the high seas for some epic rescues. Fans can join Ryder, Chase and the rest of the gang as they discover a secret pirate cave, embark on a treasure hunt, rescue whales and more. 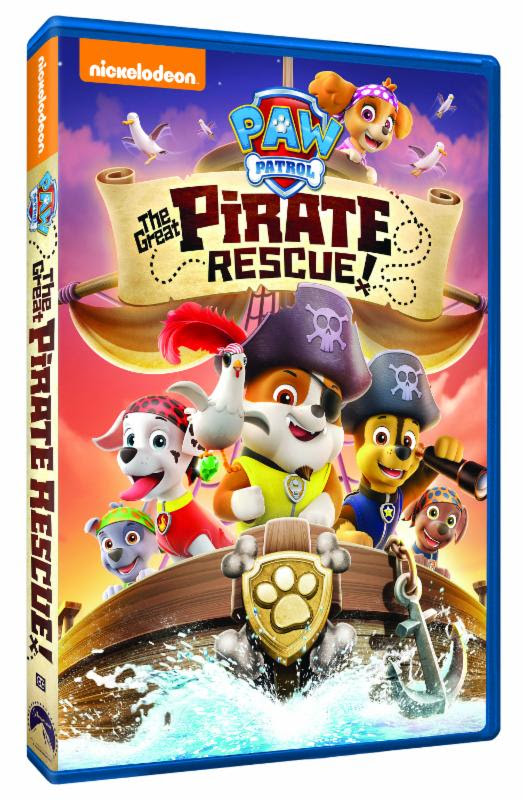 Produced by Nickelodeon Home Entertainment and distributed by Paramount Home Media Distribution, PAW Patrol: The Great Pirate Rescue! will be available on DVD September 5, for the suggested retail price of $14.99. Pups and the Pirate Treasure - The PAW Patrol must rescue Cap'n Turbot after he accidentally stumbles into a secret cave that was once a pirate's hideout. While there, they find an incomplete treasure map and embark on an adventure to find the missing pieces. Pups and the Ghost Pirate - It's Halloween and Cap'n Turbot is having a party on an old pirate ship! When the ship mysteriously starts to head out to sea captained by a "ghost," the PAW Patrol must work together to save the ship and discover who the ghost is. Pups Save the Bay - When there's an oil spill in Adventure Bay, Ryder and the pups must rescue a baby whale and clean up the spill before any other animals swim through it. Pups Save a Goodway - When Adventure Bay's famous statue of Grandpa Grover Goodway ends up at the bottom of the Bay, Ryder and the pups have to help Cap'n Turbot raise it to the surface and get it to Town Square before Mayor Goodway's family reunion. Pups Save a Pool Day - On a hot day, the pups head to the water park where they discover that the pool is empty! It's all paws on deck as they work to fix the broken water tower and get their pool day back on track. Circus Pup-Formers - When the circus animals don't make it in time for the show to start, Ryder and the pups step in and perform for Adventure Bay. Win: One lucky winner will receive a copy of PAW Patrol: The Great Pirate Rescue! on DVD! The deadline for entries is September 4, 2017 11:59pm HST. If you submitted an eligible entry and it is chosen by random.org as the winner, you will be notified via email on or about September 5, 2017 (make sure your email address is in your profile or comment and be sure to check your junk/spam, etc. folders) and will have 3 days to respond. I would love to win this for my 3 year old granddaughter because she absolutely loves Paw Patrol. 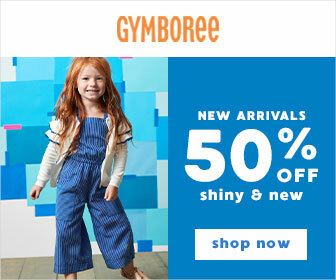 I would love to win for my niece! She's a huge paw patrol fan! I'd love to win for my nephew. He loves Paw Patrol. I'd love to win because my grandsons love to watch Paw Patrol and they would really enjoy seeing this DVD! My kids favorite show is the Paw Patrol. They would love this. I follow you on Bloglovin Julie Lundstrom. I'd like to win this for my cousin! I have a nephew who would watch it. I'd love to win this for my daughter who loves Paw Patrol. I would love to win this for my son. He loves Paw Patrol. I'd like to win this for my Niece! I would like to win this for my nephew, because he loves PAW Patrol. He would think I am so cool if I could win this for him. Jerry Marquardt follows on Bloglovin. versatileer(at)gmail(dot)com subscribes to your newsletter. Jerry Marquardt Likes your Facebook page. I would like to win because this DVD looks very interesting. I have grandchildren that definitely would enjoy using an amazing PAW Patrol DVD for a great time. My nieces and nephews would really like watching the marvelous PAW Patrol DVD for a neat time. The wonderful PAW Patrol DVD would be just right for all of my grandchildren to use all of the time. I have nieces and nephews that would really enjoy having a PAW Patrol DVD for a sweet time. My many childrend would always love to use the awesome PAW Patrol DVD to have lots of fun.